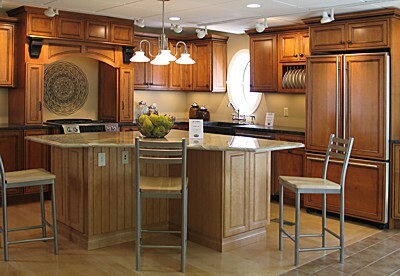 Our Berlin, MA design showroom displays a wide array of kitchen cabinets and bathroom vanities. 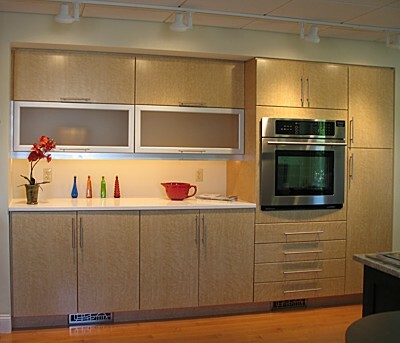 Even more cabinetry, decorative hardware and countertop selections are available in the showroom than are shown here. Be inspired by amazing cabinetry solutions to maximize storage space. We recently added a Home Finishes department. There are displays for Hunter Douglas and ALTA window treatments, as well as wallpaper and fabric books. We can fabricate custom drapes, roman shades, valances, cushions, pillows and more. Take Route 495, Exit 26, Route 62 West. Serving Berlin, Marlborough, Hudson, Clinton, Northborough, Sudbury, Wayland, and beyond! Please call 978-838-0810 to schedule a design appointment and receive undivided attention.